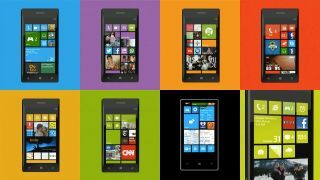 Windows Phone is still lagging behind iOS and Android in terms of app numbers, but that doesn't mean you have to miss out as there are still thousands of great ones. We've sifted through them and come up with ten essential entertainment apps that no-one should go without. Netflix is an app which should need no introduction. If you're a Netflix member you can use the app to stream thousands of movies and television programmes straight to your phone. Films are sorted into categories to make them easy to find and while the selection of content in the UK used to be lacking, it's grown substantially and is actually quite impressive now. It's smart too, as it will suggest things that you might like based on your previous ratings. Plus if you get halfway through a film and decide to finish watching it another day or on another device Netflix will let you pick up from where you left off. If you're a film fan then Flixster should be your first port of call. You can use the app to view film trailers and check out what's doing well at the box office. You can also view new and upcoming DVD releases, find film times at your local cinema and read both critics and user reviews of films. Basically it provides everything except the films themselves and you've already got Netflix for that so with the two combined your movie needs should be covered. There's also a website version of Flixster but the app is designed with touch screens in mind and is so much more convenient for mobile users. If TV is more your thing, then check out TVCatchup. It lets you watch dozens of live UK TV channels. Essentially it's like having freeview on your phone. You can use voice commands to launch a channel and it even has a programme guide so you can see what's on now and what's coming up, along with a synopsis and episode number for each programme. Best of all it's totally free, so there's no reason to miss the latest episode of your favourite TV programme. Sometimes you want to watch things or listen to music on your computer but you don't want to sit at a desk or have to get up whenever you need to pause a video or skip a music track. With Unified Remote you don't have to. It unchains you from your desk by allowing you to control your computer with your Windows Phone. It's surprisingly easy to use too. It turns your screen into a virtual mouse mat and you can use your finger as a mouse by swiping it across, in much the same way as you'd operate a touchpad on a laptop. A quick tap on the side of the screen acts as a mouse click and more advanced options are available with custom remotes, which include those for Windows Media Player, Netflix and more. Rdio provides a similar experience to Spotify in that it gives you access to over 20 million music tracks on demand. It also lets you build playlists and even download songs for offline listening. It's also great for music discovery, as you can follow friends, musicians and taste-makers to discover new music. Plus with support for collaborative playlists it's even a little bit social. Like Spotify it carries a monthly subscription fee of £9.99 if you want to use it on your phone. If you prefer your music to be free, head on over to TuneIn Radio. It gives you access to over 70,000 real radio stations worldwide, alongside 2 million on-demand streams of podcasts, shows and concerts.